Enjoy a more elegant dining experience with the Burnished Gold Rim Bowl 14.5cm. This beautifully sophisticated and contemporary rim bowl is designed and hand polished in England. The Burnished Gold fine bone china rim bowl 14.5cm is a wonderful way to add a touch of luxury to your morning cereal. Enjoy a more elegant dining experience with the Burnished Gold fine bone china rim bowl 14.5cm. This beautifully sophisticated and contemporary rim bowl is designed and hand polished in England. We have carefully positioned the 24-carat gold edging so that it’s protected from everyday wear. 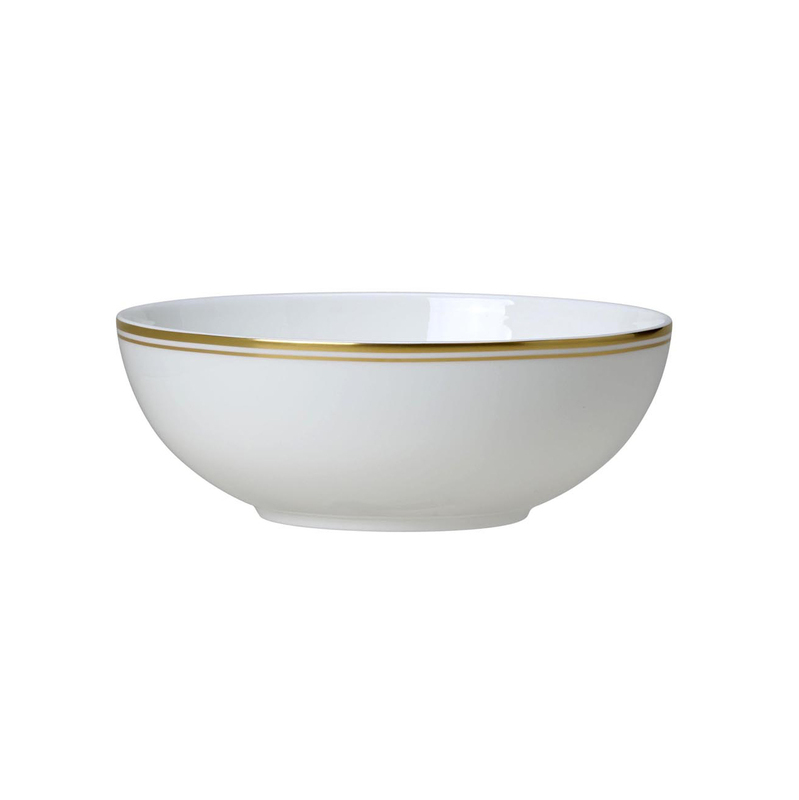 The Burnished Gold Rim Bowl 14.5cm is a wonderful way to add a touch of luxury to your morning cereal.